Let’s face it: Not all customers are equal. Some, if you’re lucky, will become super-fans of your business. Customer advocates, if you will. The term customer advocacy should make your ears perk up. These are the people who will become the pillars of your brand - the ones who spend the most money, bring in more customers, and shout your name from the rooftops. In this post, we’ll be discussing the importance of customer advocacy and why you must get on board, or else risk weakening the bedrock of your business. 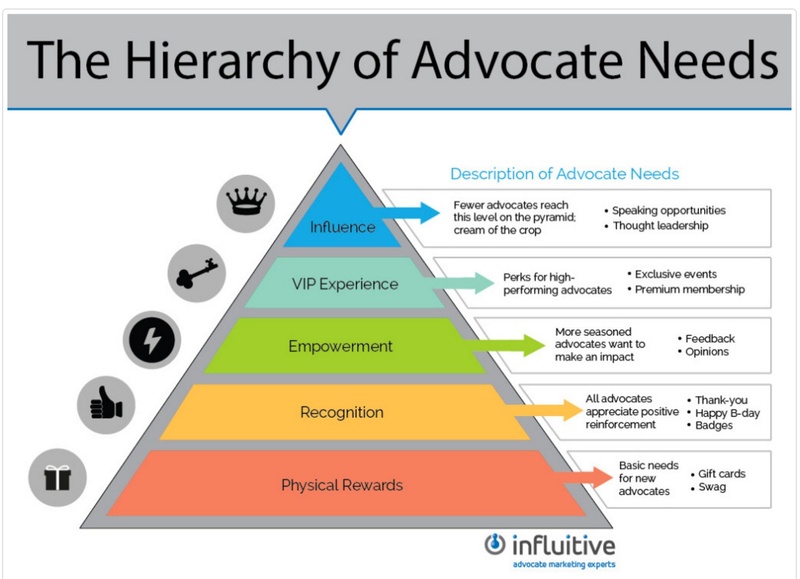 In other words, customer advocacy means a relentless focus on the customer’s needs. You’ll never pull a fast one over your customers to make a quick buck, or lie to them to land a sale. To be frank, in today’s intensely competitive world, there’s no room for anything less than amazing customer support. Word literally travels instantly and spreads virally not just across your town, your state, or even your country - but across the whole world. As you can see, advocates are more than just repeat buyers. They are the lifeblood of your business. Having a customer advocacy program is your competitive edge - your secret weapon against increasing competition and low customer loyalty. Starting to see the value of advocacy? Here are 11 more data-driven reasons why you should start building a customer advocacy program today. #1: A handful of advocates can double your revenue. You’ll come to find, as you go through this list, that advocates bring you revenue in more ways than one. A 12% increase in advocacy can mean as little as five to ten extremely happy customers, spreading the word of your brand to the world. This is a double-edged sword; If your customers love you, there’s a good chance their friends and followers will buy from you. If they had a bad experience, however, you’ll have a very hard time selling them (or their network) anything. #3: Advocates are your new sales team. 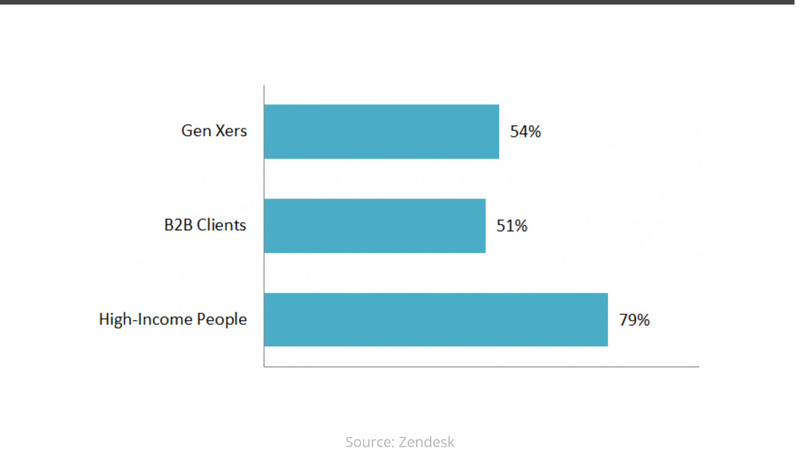 Who needs to hire sales reps when you can just have your customers do it for you? The better your customer service, the more “sales reps” you’ll “employ” for free. In fact, there’s a whole marketing department devoted to this concept: Advocacy Marketing. 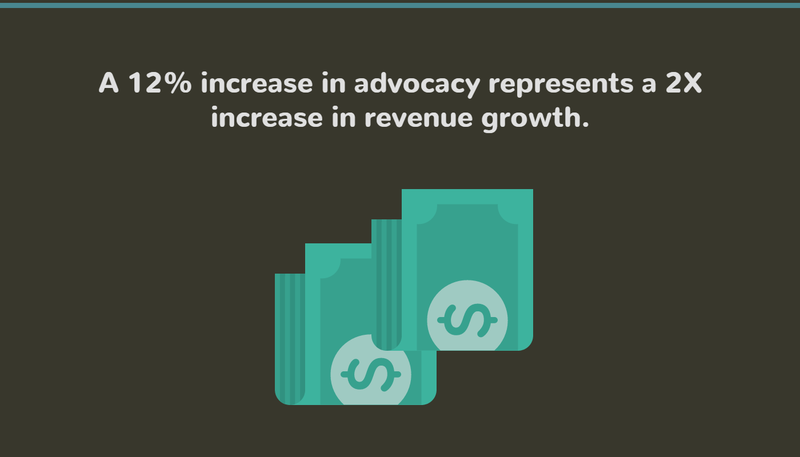 #4: Advocates spend more and bring in more revenue. You’ve probably already heard it costs five times more to acquire a new customer than to keep an existing one. The costs continue to decline as you provide better customer service and become a more customer-centric company. Your advocates will become living proof of that. 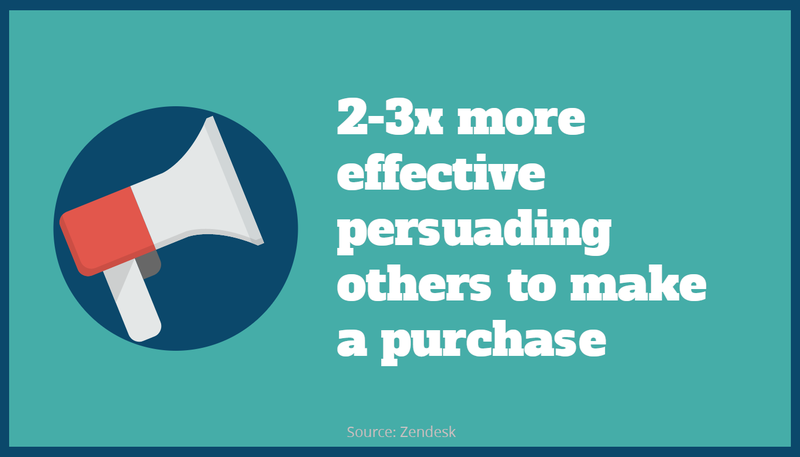 #5: Up to half of your customers will come from word-of-mouth. This just backs up our first data point. People trust other’s opinions more than they trust most brands. In fact, I recently switched to ConvertKit as my email marketing service because of a friends recommendation. To drive more sales, begin a customer advocacy program to give your customers something great to talk about. #6: Advocates have their hands in multiple cookie jars. At first glance, this may not seem like a good thing. However, working with customer advocates broadens your network. If they recommend other brands that go well with yours, you’ll have an “in” to partner with someone and increase growth. #7: Customer advocates are more vocal about their brands. Not only should your service be top-notch, but the entire purchase experience should be excellent as well. People want to talk about their purchases - it’s human nature. Give them an experience worth raving about! 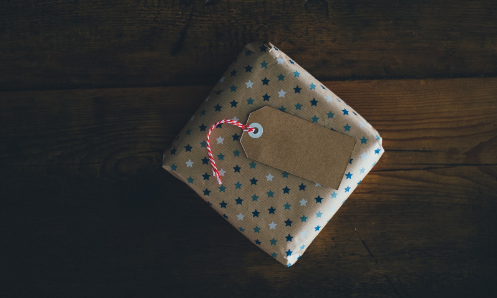 #8: Customer advocacy is the gift that keeps on giving. Think to a time you were blown away by a company’s customer service. Do you still do business with them? That’s proof of how well customer service works to increase retention and loyalty. An advocate’s lifetime value will be much higher than other customers. #9: It’s easier to turn referrals into loyal customers. Once your advocates refer someone, there’s a good chance that person could then turn into a repeat customer - and potentially even an advocate! It’s a cycle. Great customer service turns customers into brand advocates, who bring referrals, who turn into advocates, who bring more referrals… you get the idea. Pro Tip: This cycle can get confusing. Keep track of it all with a help desk software. #10: You already have brand advocates. Chances are, you already have advocates raving about your brand and you don’t even know it. While it may not be half of your customers, if you’ve been around for a decent amount of time and provide at least decent customer service, you’re likely to have people talking about you. Now, you just have to find them. #11: You can’t afford not to focus on the customer. You know the old saying “It takes years to build trust and seconds to destroy it.” As always, this old adage rings true with customer service. People won’t easily forgive you for a bad experience, and you simply can’t afford that over the long run. Ready to launch that customer advocacy program? Good, you won’t regret it. Here are a few tips to help you get it going. #1: Empower your team with the right tools. 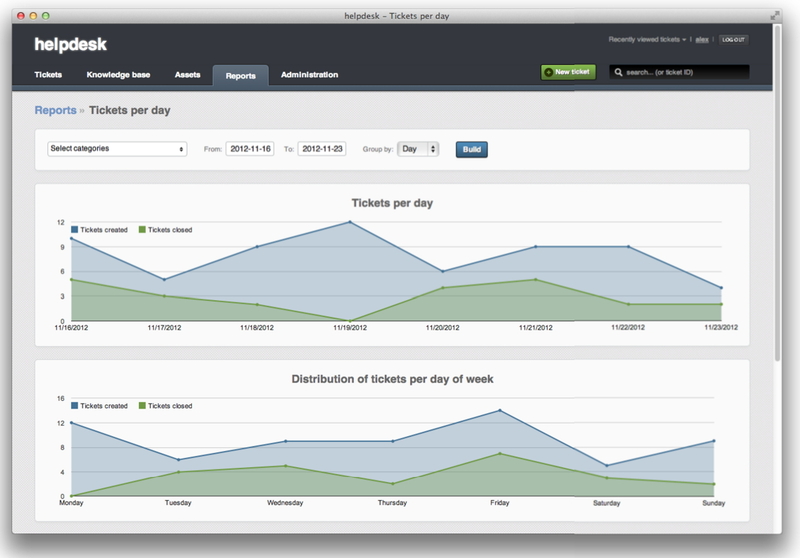 Having a helpdesk ticketing system will allow you to keep track of your customer interactions across multiple channels. This ensures you never forget to follow up with a customer - nothing gets through the cracks. A help desk can also help you assign customers to certain support reps, track key metrics, and help you fix issues faster and more efficiently! #2: Focus on WOWing one customer, every day. 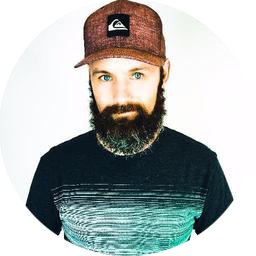 This is probably the easiest way to build brand advocates - and it only takes maybe 5 to 30 minutes, tops. Blow one customer’s mind with amazing service, every day. Do like Zappos and give one random customer free overnight shipping. Send a handwritten thank you card (or use a service like ThankBot). If you can’t help a customer (for example, if you don’t offer shipping to their country), go out of your way to send them to a competitor that does. This sounds counter-intuitive, but really builds trust with customers. Just tell a customer how much they mean to your business. A few kind words can go a long way. Bungie took this idea to heart when they sent a young liver transplant patient a surprise gift around the holidays. 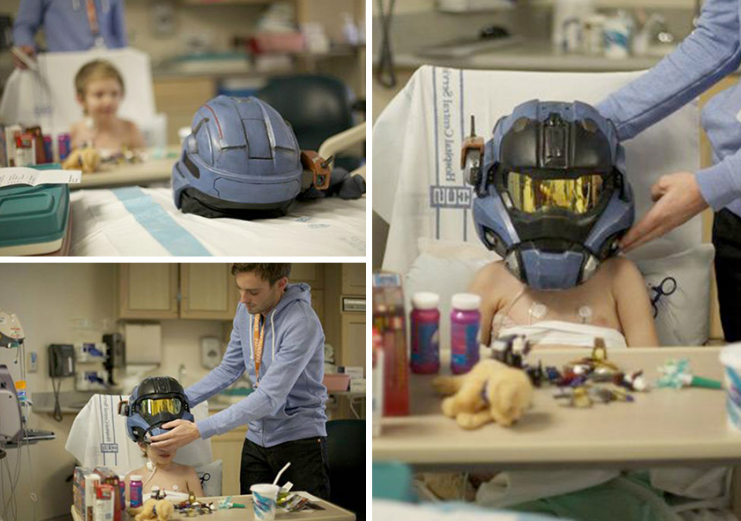 Because the poor kid couldn’t play his favorite game, Halo, they sent him a get well card, signed by the whole bungie team, and a custom made Spartan helmet. Over time, if not paid attention to, people can establish habits that leave a lot to be desired. They end up going with that works and doing enough to get by, rather than focusing on being truly great. You can’t blame your employees if this happens - they’re only human. To prevent this (or even cure it), be sure to train your staff regularly. Send them to seminars and trainings like those offered by the Dale Carnegie foundation. If you can’t afford that, there are plenty of free webinars and online courses available as well. Or, you can just check out this list of 16 customer service skills we put together. Have you ever been featured on a company blog or social media page? Feels good, right? It’s part of the human psyche - we all have a need to feel important. So, fulfill your customer’s need. Feature their photos on your blog and social media pages. Write about how they used your product or service brilliantly to solve a problem. Interview them and share the interview with your followers. They’ll love you for it. Let me tell you, there’s nothing I hate more than a pain in the a** return. Returning something is already painful - but when the business I’m returning it to makes it harder, it really ticks me off. I’m not alone - most people will never do business with that company again after a difficult return. On the flip side, a painless return and refund process really makes a business shine in my eyes. The chances of me (and most people) doing business with them again are much higher. Sure, you may lose out on revenue from one cancelled order… but you’ll gain a happy customer, who may recommend many more orders and even come back to buy again. While metrics can be a pain to track, they are a vital part of delivering the best possible customer service. This is another reason to use a help desk software - it makes tracking all your key metrics painless with a dashboard and cross-channel tracking! Without employee buy-in, it’s never going to happen. So, how do you cultivate a customer-focused culture? Focus on hiring the right people. Fire those who aren’t a good fit. Get your employees to do customer service training as mentioned above. Have everyone on your staff read books like Delivering Happiness by Zappos’ CEO Tony Hsieh and How to Win Friends and Influence People by Dale Carnegie. Embrace the culture yourself. Show your employees that you’re willing to do what’s right for the customer, too. Put the right people in the right positions. If your management team isn’t on board, chances are those under them won’t be, either. Are you ready to make customer advocacy a priority in 2017? Customer advocacy is a relentless focus on the customer. It’s doing the things that make your business stronger in the long-term, even if it means a short-term loss. If you want to be around in 10, 20, even 50 years, customer advocacy is the key. If you take nothing else away from this article, take this: Do what’s right for the customer, even if it means a little less revenue. In the long run, you’ll be better off for it. Are you going to implement a customer advocacy program? What steps will you take to ensure it works?